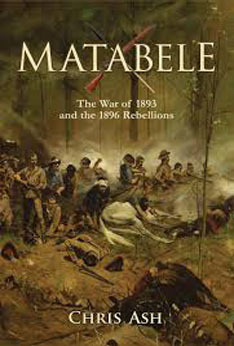 Sandwiched between the glamour and heroism of the Zulu War, and the controversy and bitterness of the Boer War, the Matabele Wars of the 1890s have long been southern Africa s forgotten colonial wars. There is no denying that the Matabele Wars are a lot less romantic and photogenic than the Zulu War. The wonky, unreliable Gatlings and ludicrous rocket batteries of the Zulu War had given way to the highly effective Maxim guns that were seeing major action for the first time. Nevertheless, the Matabele warriors showed every bit as much heroism, determination and élan as had their kinsmen in the Zulu War.